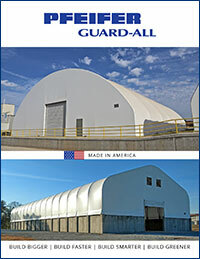 Over the past year, Guard-All has had an increase in demand for steel and fabric in their fabrication plant. With an increase in frequency and size of projects, more production volume was needed to maintain their high standards for production quality and efficiency making it necessary to expand its fabrication plant. Guard-All also wanted to have the capacity to handle an excessively heavy product and needed to increase its capacity to handle the weight of a 10-ton crane so they could do “bigger, larger, heavier pieces.” At the beginning of this year, critical moves were made to obtain it quickly. It was apparent that they needed to find additional space off-site since extending their current plant was not an option. Fortunately, a conveniently located distribution warehouse was found less than 500ft down the road from their Dallas office and was swiftly leased to be their new fabric and construction department. The original fabric shop area was expanding from an area that was only about 80 feet wide to a new building that’s 25,000 square feet. 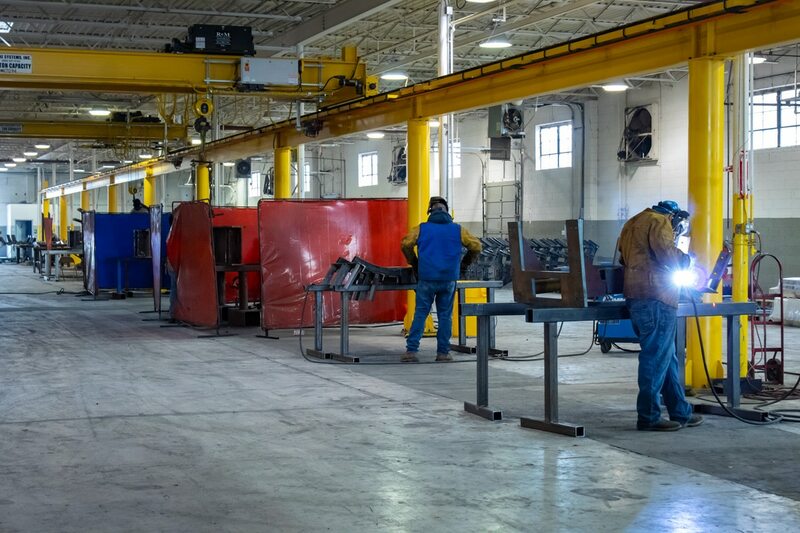 The former area for fabric production has now been converted into additional steel production space, expanding the steel shop from 15,500 to 40,000 square feet. “In the former fabric shop, we had to put all the overhead cranes, which was a lot of work. And We had to add another 20 weld stations, all electrical. We brought independent power in. We upgraded the lighting, we did everything,” said Haymann. With nearly double the space, the new fabric plant and other renovations will not only keep Guard-All operating at optimal capacity but are also expected to increase productivity by about 62%. These improvements to the fabric and steel fabrication plants will also further their initiative for superior quality management that was marked at the beginning of this year with Guard-All obtaining ISO 9001:2015 certification.